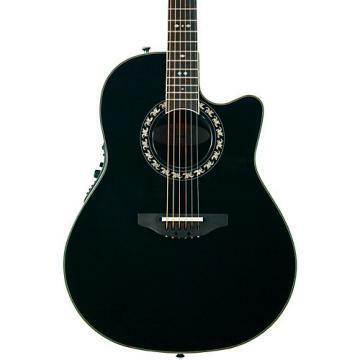 The Ovation Standard Balladeer 2771 AX is a 6-string acoustic-electric guitar with a deep contour body and an AA solid spruce top. The 2771 AX features scalloped LX-bracing, a rosewood fretboard and bridge, chrome tuning machines, and an inlaid pearl oak leaf rosette. The onboard Ovation OCP-1K pickup delivers classic Ovation tone for a great plugged-in experience. .I saw another review about buying one of these that needed repair, but then being disappointed trying to get parts. That's unfortunate. However, if you buy one that's ready to play, you'll be happy. I was never happy with the thin sound of the Ovations. It was a personal choice. So, I never played one. I picked mine up barely used and put it to good use. It has easily played 300 shows. That being said, it performs flawlessly, the onboard tuner and EQ are great to shape the sound depending on the system and room. It has a great deep tone that, to me, was atypical for Ovations. It is now my work horse and wouldn't trade it for the world...because I can't afford the world! 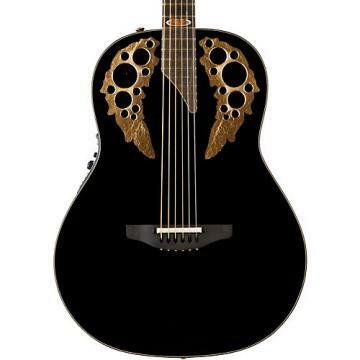 .I own this and two more Ovation Products. I've put one of them in very difficult situations and it still works. When they are right they are excellent. "At this point, I am no longer confident in Ovation USA, and that's a darn shame..." Ovation Parts seem very expensive to me, I've replaced tuning keys and had a bridge replaced..$$$$$ I like what I have now but have worked on all three.